CATCH ALL YOUR FAVORITE TEAMS AT DOC'S! 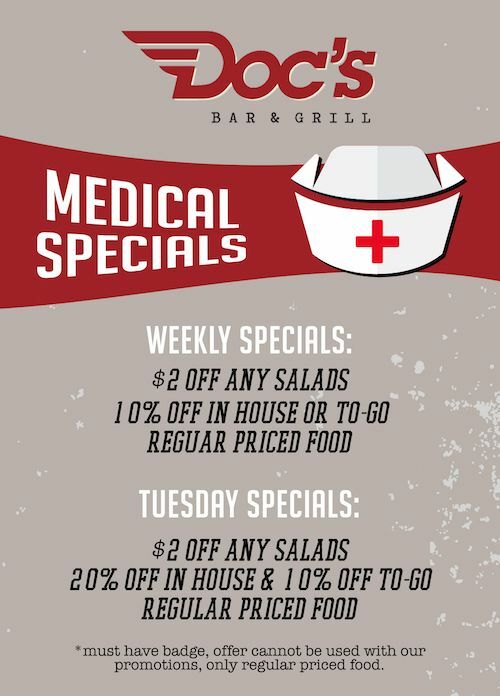 To show our appreciation to the Medical Industry we are offering great specials to make breakfast, lunch & dinner a little more enjoyable! *Must have badge for promotional offer.